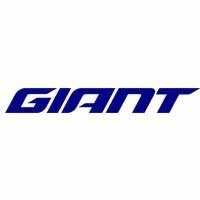 Giant's top of the range performance/endurance gravel bike equipped with Advanced-Grade Carbon frame and forks, Giant CXR-1 Carbon WheelSystem, Shimano Ultegra 2x11 drivetrain and hydraulic disc brakes! This is a performance gravel bike that’s equally adept at tackling paved roads or dirt. That versatility comes in handy when your ride includes a little bit of everything.It’s designed around a lightweight Advanced Composite frameset with endurance geometry, so you can tackle long, hard rides with less fatigue. A composite fork eats up bumps, and the D-Fuse seatpost and Contact XR D-Fuse handlebar absorb shocks and vibrations. The frame is integrated for disc brakes and has clearance for larger tyres of up to 45c. An innovative new Contact XR D-Fuse handlebar and D-Fuse seatpost work as a system to help absorb shock without sacrificing the stiffness needed for aggressive road performance.